This past summer, I found myself in a bit of “training rut boredom”. Over the past year, I had shredded down to sub-10% bf, then built back up to some respectable numbers: 175 overhead press for reps, 435×7 deadlift, 275×5 on the bench, and 365 for 5 in the squat rack. I had felt good about my progress, good about my current level of fitness, and was pleased with my body. By no means did I want to pause working out, it was simply that the thought of following another percentage based program seemed mind numbing. I came across Charles Poliquin’s German Volume Training (GVT) article. Thank god I did, because it completely opened my eyes to a training methodology I had never tried. My biggest physique transformation came after a long period of doing very high volume body part work (which I combined with other principles I found useful for building and aesthetic and strong body into STATUE JACKED), but this was something new altogether. It wasn’t 5 sets of 15 with partial reps. It wasn’t 8 different workouts per body part. It wasn’t heavy reverse-pyramid training. It was hitting 10 sets of 10 reps on a compound exercise, supersetted with a compound movement of an antagonistic muscle group. My training boredom was cured – the blood went from my overthinking brain to my stimulus hungry muscles. There is a saying in the Crossfit world, in which I have been known to dabble, that goes: the easier a workout looks on the board, the harder it is. It came as no shock, then, midway through my first GVT workout, I was ready to cut my arms off at the shoulders and wish for a sweet and easeful death. A GVT workout consists of 2 pairs of movements that work antagonistic muscle groups. Each rep is to be done in a with 4 seconds spent on the eccentric portion, and either 0 or 2 on the concentric. Between sets, you take either 75 or 90 seconds of rest. You begin with about 60% of your 1 rm max, or a weight that you complete 20 reps of the movement with. I made slight modification from Maestro Poliquin’s workout because, at the time, I didn’t take the time to fully comprehend how to implement it. Even with my bastardization, it was still extraordinarily effective. I took one minute in between each set (whereas here Poliquin suggested 90). So you would do a set of 10 OP, wait one minute, then 10 pull-ups. Wait one minute, then go back to OP for 10 total rounds. The first five rounds don’t feel so bad. Then an incredible pain starts to set in around rep 6 of set 6 or 7, and you realize that you’re barely 2/3 of the way through. Pushing through, getting all the work done in the time permitted, and being honest with yourself became the biggest challenges of all. More than an endeavor of the body, every rep became an endeavor of the mind: how much are you willing to suffer for this? How far will you push yourself? I am not the biggest, strongest, or fastest lifter (I do have pretty good form though). However, I can suffer through and turn my mind off like nobody’s business. That, then, became the “fun” part of the workout (I know some of you will feel me). Well, that and the ridiculous pump I got. With bigger movements, such as the squat, I took 9 minutes in between sets and didn’t work an antagonistic muscle group. I have yet to find a workout that so quickly added mass to my beach muscles – and strength to boot – than German Volume training. Unfortunately, I wasn’t tracking max strength and other numbers closely because, like I said, I was a little burned out with that and mostly just wanted to push myself and not worry about the details. My forearms BLEW UP- in the above photo, I had no pump-that’s how my arms looked just walking around. My upper arms visibly got HUGE. I could not believe the straight up SIZE that GVT had put on my arms. Now, this was originally intended as a way to help athletes move up a weight class. I didn’t gain any weight (I wasn’t tracking food, just, y’know, eating as much meat and potatoes as I could-I was playing a farmhand, after all), but I did get a nice little recomp: reduced abdominal fat, near-constant feeling of a “pump”, and my custom suit was better fit at the end of the summer than it was at the beginning. Had I desired to truly gain size and strength, all I would have had to do was commit to a caloric surplus and actually hitting macros. Had I done that, and followed through into the second half of the program, I have no doubt the numbers both on the bar and tape measure would have been huge. Hell, I gained strength and size by accident. Imagine your results with deliberate effort! As mentioned earlier, GVT’s ultimate goal is not directly related to pure strength gains. 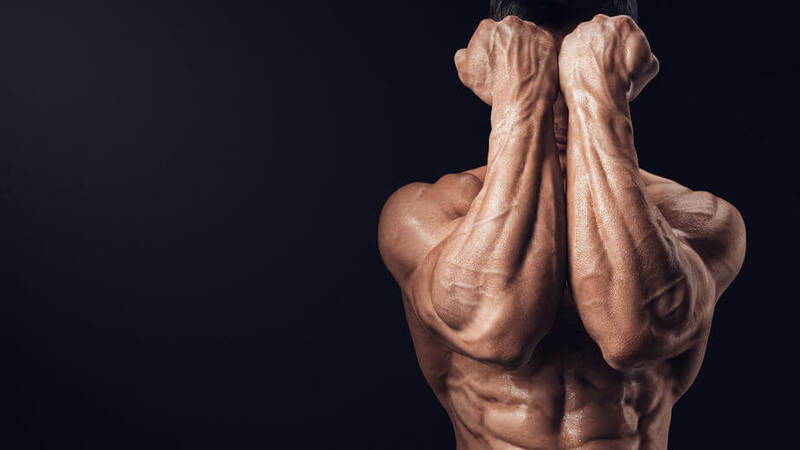 The strength you’ll undoubtedly see from doing such a high volume program comes as more of a side benefit along with the muscle you’ll be building. 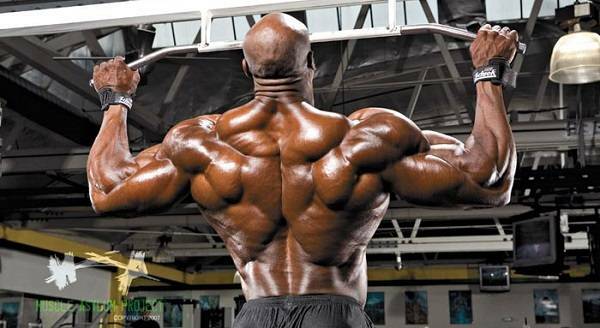 Simply put, a bigger muscle is a stronger muscle. When a muscle fiber has a greater cross sectional area to work with, its potential for strength is going to be far higher than that of its smaller brethren. Think about the strongest powerlifters around, the ones hoisting showcasing the greatest absolute strength; they’re not exactly the smallest of human beings. To put up truly spectacular numbers in the weight room, a larger muscle has the potential to hoist far heavier loads. Most powerlifters deal with the occasional achy joint. It comes with the territory when heavy weights are being pushed against gravity on a consistent basis. The tempo used for each rep of GVT works toward improving the health and integrity of the tendons. If you’re battling a nagging elbow or knee, you’re able to train up to the level needed to continuously make progress. Healthier joints also means you’ll be able to get back into the weight room sooner, leading to the next point. Each workout, you’re doing a large number of reps for the given exercises. Typically, someone seeking strength is going to scoff at the idea of such a high volume doing anything to improve strength levels. But, if you’re form isn’t up to par, the high volume of work is exactly what you need. The time using a lower percentage of your one rep max is the perfect opportunity to dial in any technique flaws you may be dealing with when loads start creeping up. boost your deadlift by 50 pounds in two weeks, but that 50 pound jump is much more likely in the future with some added muscle. And no one is going to mind looking a little better without a shirt on, right? Michael is a professional opera singer with a 405lb squat, 505lb deadlift, bodyweight military press, and Precision Nutrition certified in Exercise Nutrition.